The University of Derby ranks No16 in the UK for Education studies (Guardian 2017). No written exams. Assessment through essays, oral presentations, and research-based study. Exclusive collaboration with the INTERNATIONAL MONTESSORI CENTER in Perugia, Italy (field trips and seminar attendance). Supervised work placement at partner nursery schools and preschool centers. Practice-based modules in Arts Education (Drawing, Music, Movement, Drama) in specialist Early Years workshops. Student conference presentations and publications in national and international conferences. The aim of the programme is to help students understand children’s development and learning, from the early years to the age of eight, to investigate the challenges and opportunities that arise in the field of educational practice and to examine childhood from different educational perspectives. Students are encouraged to use their own experiences in order to learn and comprehend early childhood. The programme places particular emphasis on independent learning and linking theory to practice. It involves a compulsory work placement in various early years settings, with the support of the Mediterranean College’s wide network of private schools and organizations. In addition, the taught modules are complemented by multiple other activities, such as field trips, guest lectures, seminars, voluntary work, participation in conferences etc. As a result, graduates gain both knowledge and practical skills to take on immediately and responsibly the role of early childhood educators in real work conditions. The programme is addressed to High School graduates who want to build a career as early childhood educators. The programme examines the significance of childhood and the multiple needs of children, and how these can be met by education professionals. Particular emphasis is placed on the personal and professional development of students, through the module content, student placement, and the multiple complementary educational activities. The programme comprises modules equivalent to 20 credits, plus an independent study (dissertation) that equals 40 credits. Modules are delivered in two semesters per academic year. Teaching and learning involve various approaches, such as lectures, guest lectures, workshops, tutorials, group activities, integrated projects, oral presentations, and supervision. 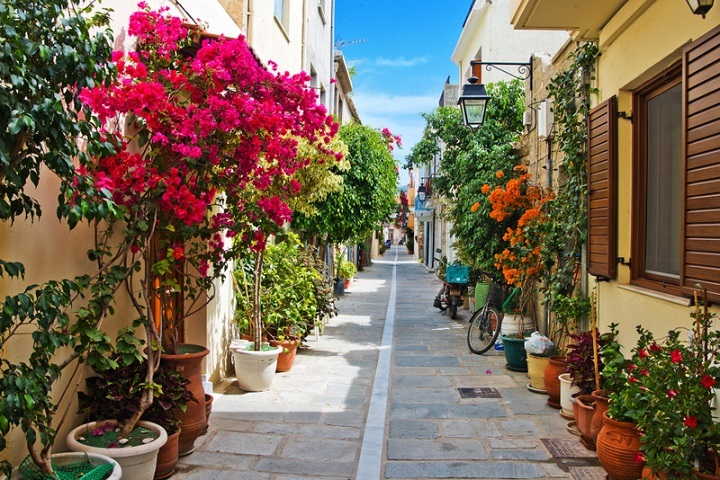 Modules of Year 1 are delivered and assessed in Greek; modules of Year 2 are delivered and assessed in Greek and English; modules of Year 3 are delivered and assessed in English. Lectures aim to the understanding of the theory and the important issues related to each module. Seminars & workshops focus on selected topics that have been covered in lectures and are more interactive in nature, where students adopt active roles in teaching and learning. Additional practical exercises provide experience in applying scientific methods on inquiry. Finally, group and individual tutorials enable students to better comprehend certain aspects of the modules. The programme applies a variety of assessment tools, including essays, reports, oral presentations, poster/booklet/leaflet presentations, independent research and online tests. The programme does not include written exams. The University of Derby, according to the Guardian University Guide (2017), is placed among the TOP-16 UK Universities for studies in Education and ranks first in Greece among UK Universities represented in the country. The programme includes compulsory work placement with structured supervision, in collaboration with a wide network of preschool educational centers and nurseries. Modules in Art, Music, Movement, and Drama, delivered in the designated Early Years workshops, strengthen the practice-based knowledge of students. The programme does not include exams. Students are assessed by alternative means, such as essays, oral presentations, posters and online tests. Teaching and learning are achieved in the most creative way: workshops, role-plays, guest lectures, field trips, poster presentations, individual research, etc. Special emphasis is given to academic research, in order to help students develop the adequate skills to continue their studies at a postgraduate level. The student learning experience is further enhanced through the School of Education activities. Students are supported by a personal tutor, who helps them design and implement their individual Personal Development Plan (PDP). Early Years Education students actively participate in activities organized within the MC Employability Scheme, the College’s integrative employability development plan, which prepares them to be competitive in the demanding labor market. The School of Education of Mediterranean College has an exclusive collaboration with the International Montessori Center in Perugia – Italy and is a sponsor of the European Dyslexia Association. The BA (Hons) Early Childhood Studies leads to the professional recognition of Early Childhood Educator or Nursery Teacher. 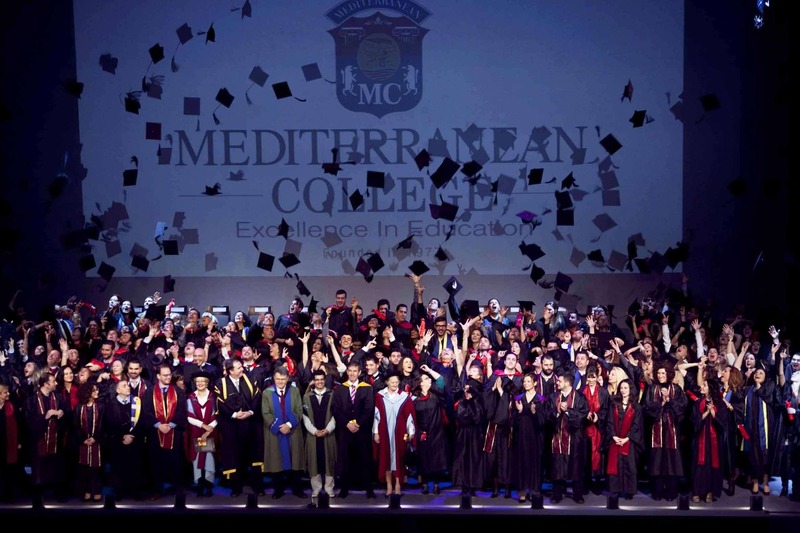 After successfully completing the programme, graduates may continue for a Master’s degree at Mediterranean College or at overseas universities. Alternatively, they can seek employment.